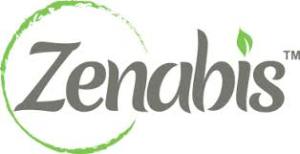 VANCOUVER, March 21, 2019 /CNW/ – Zenabis Global Inc. (“Zenabis”) (TSXV: ZENA) today announced a significant expansion of its supply opportunity through its entrance into the European pharmaceutical cannabis market. Zenabis has entered into a Letter of Intent (“LOI”) towards a definitive supply arrangement with Farmako GmbH (“Farmako”), a research-based pharmaceutical company headquartered in Frankfurt, Germany. With an overall population of over 740 million, Europe will be the largest pharmaceutical cannabis market worldwide. The two largest European economies, Germany and the United Kingdom, passed legislation allowing the prescription of pharmaceutical cannabis in March 2017 and November 2018 respectively. Zenabis has established distribution relationships with provincial liquor authorities, wholesalers and licensed retailers in 9 provinces and territories (British Columbia, Alberta, Saskatchewan, Manitoba, Quebec, New Brunswick, Nova Scotia, Prince Edward Island and the Yukon Territory). This news release contains statements that may constitute “forward-looking information” within the meaning of applicable Canadian securities legislation. Forward-looking information may include, among others, statements regarding obtaining the required permits to complete the initial transaction and future transactions; entering into a definitive agreement; expanding the supply arrangement to include other products; the future plans, costs, objectives or performance of Zenabis, or the assumptions underlying any of the foregoing. In this news release, words such as “may”, “would”, “could”, “will”, “likely”, “believe”, “expect”, “anticipate”, “intend”, “plan”, “estimate” and similar words and the negative form thereof are used to identify forward-looking statements. Forward-looking statements should not be read as guarantees of future performance or results, and will not necessarily be accurate indications of whether, or the times at or by which, such future performance will be achieved. No assurance can be given that any events anticipated by the forward-looking information will transpire or occur. Forward-looking information is based on information available at the time and/or management’s good-faith belief with respect to future events and are subject to known or unknown risks, uncertainties, assumptions and other unpredictable factors, many of which are beyond Zenabis’ control. These risks, uncertainties and assumptions include, but are not limited to, those described Zenabis Management Information Circular dated November 23, 2018, a copy of which is available on SEDAR at www.sedar.com, and could cause actual events or results to differ materially from those projected in any forward-looking statements. Furthermore, any forward-looking information with respect to available space for cannabis production is subject to the qualification that management of Zenabis may decide not to use all available space for cannabis production, and the assumptions that any construction or conversion would not be cost prohibitive, required permits will be obtained and the labour, materials and equipment necessary to complete such construction or conversion will be available. Accordingly, readers should not place undue reliance on the forward-looking statements and information contained in this news release. Zenabis does not intend, nor undertake any obligation, to update or revise any forward-looking information contained in this news release to reflect subsequent information, events or circumstances or otherwise, except if required by applicable laws.